You are your transferee’s main contact during their transition to Sweden. They will look to you to make them feel welcomed and comfortable. This most often begins by helping to settle them in a new home in Sweden. Moving can be highly stressful and your new employee will definitely appreciate all the help and support they can get. 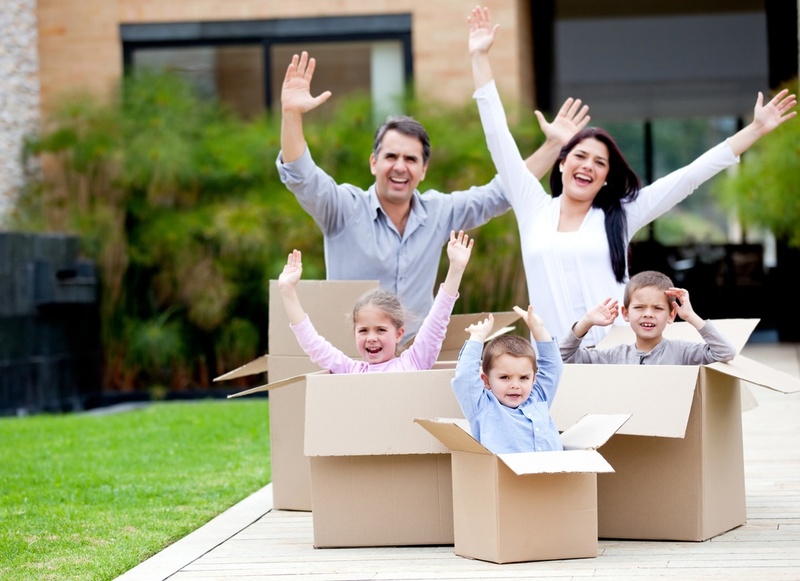 Our moving tips below mainly pertain to rental move ins, however, some may apply as well if you are helping with a transition to a newly purchased home. We will also review ideas on how to prepare for the big transition by packing smartly. This will contribute to the amount of ease your transfer will feel upon arrival and their first few weeks in Sweden. Let's begin with preparing to move. Here are tips that we share with all our local HR professionals so they can remind their expats how to pack and move in the most calm and efficient manner possible. Plan Ahead: Begin moving plans early. Make lists and set aside time each day or week before the move to check a few things off the list. Be Organized and Systematic: Write out your plan and make sure it makes sense. Plan to pack one room at a time. Give Away Clothes: Review your wardrobe and give away or donate anything that you have not worn in the last 2 years. Kitchen China and Housewares: Again, if you are not using it on a semi regular basis, consider giving it away. Pack with proper packing paper or bubble wrap instead of newspaper so you can put items straight in the cupboards. Label The Boxes Clearly: Mark your boxes with their contents clearly. Red flag the most important ones that you will be needing immediately in the new place. Most often this is your bed sheets, towels and a change of clothes. Most other stuff can wait. Consider a Cleaning Service: Plan on having a cleaning service do a clean sweep after you move out for peace of mind. Once your transfer arrives in Sweden, you or a co-worker should plan to meet them at their new home. It is your job to help with the transition and introduce them to their landlord or broker. We have seen the difference it can make for new employees if these first few days go smoothly. Make sure you call the landlord or broker ahead of time to ensure he/she is on the same schedule as you, and that the events that lead up to move-in day are all happening to plan. Move in days are usually at noon on the first weekday of the month. Inspections happen on weekdays. If your new hire arrives after hours or on a weekend, suggest that they reserve a hotel room until the inspection date. Both tenant and landlord should be available for the inspection and to sign the papers. Check to see that the property is thoroughly cleaned and liaise with the landlord to confirm if there are any issues due to neglect on the part of the previous renter. After the new tenant moves in, another inspection should be completed to make sure that there were no damages that happened during the move. If there is damage, the moving company should take of this expense as they are insured for such accidents. Make sure all parties have smartly coordinated the move out timing of previous tenant with the inspection and your expat’s move so that there is plenty time for everything to be done. Rushing is not a good thing. If the rental is furnished, the tenant should review all inventory and make any necessary notes. Make sure all light bulbs are working. Check to make sure all keys work. Review points of the lease with the landlord in person so there are no misunderstandings later. If you are interested in learning more about how to greet your new employee so they feel welcomed and ready to rise to the top performance at your company, download our tip sheet filled with wonderful ways to greet your new employee.